Want to lighten your wallet in style? 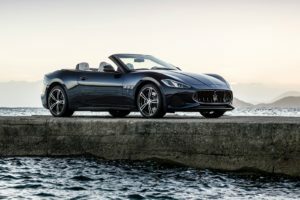 The new, bespoke Maserati GranCabrio Convertible is one of the suavest drop-tops to have ever graced our humble planet. Performance is incredible, engine noise is apocalyptic, and four adults can travel in comfort. It’s one of the most versatile cars of its type that can take a walk on the wild side or cruise along riverbanks. You can just picture yourself relaxing down the French Riviera, not a care in the world, as the gentle breeze laps at your shoulders. It’s just pure luxury straight out of a Hollywood movie. However, such luxury doesn’t come cheap. 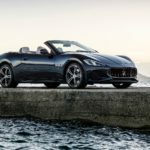 Prices start just shy of £100,000, and the economy doesn’t go any higher than 15mpg.